ComTek Accounts have written a link between the award winning Enterprise product and Aspin Software, the creators of MiniSell and Pixsell. 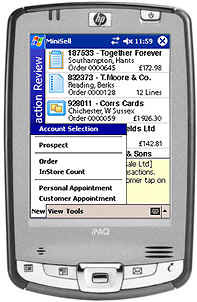 Handheld CRM system, with diary etc. New MiniSell Transactions are imported into Enterprise, using the data files created by MiniSell Databridge. The import program will run MiniFetch, every 30 mins, to fetch any new MiniSell Transactions sitting on the MiniSell server. These will be imported into Enterprise as either SOR,SIN or SQU’s and optionally with hold status or with TagNo set, as stated in the “Settings.xml” file. All items imported are listed in the “import1.log” file, this lists the prices, discounts and GP% of each line. If the transaction total in Enterprise differs from the MiniSell total this will be highlighted in this file. It is good practise to monitor this file which summarises all imported data. Credit notes can also be optionally imported. Therefore this program must be running at all times, and will manage all communication between the MiniSell server and Enterprise. The following restrictions, or points, should be considered when implementing the MiniSell system. Important: Since Enterprise allows many different permutations of pricing; the customer should thoroughly test the system, using their price matrix before going live. Each MiniSell handheld will work with one Enterprise Company only. Discount matrix entries for stock groups, can only be specified once in a branch of the Enterprise stock tree. ACCOUNT MATRIX discount entries must be unique at group level !!! Level 1 – “MiniSell Category”, code must be 5 chars only. Level 2 – “MiniSell Product Group”, code must be 15 chars only. Enterprise is 16. Euros can be handled by setting the Account to Euros and then specifying Euro price as band prices within the stock record. Special Qty break prices for a specific customer. The MiniSell stock description will only contain first 60 characters. 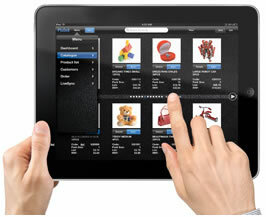 However when transactions are imported into Enterprise full stock descriptions will be displayed as normal. Many of the MiniSell fields can be mapped to Enterprise Transaction Header fields or Notes Lines for extra flexibility. The system will log all errors, major operations, and an audit of the transactions imported into Enterprise. Any transactions, which fail to import, will be moved to a “FAILED” folder and an e-mail can be sent to two e-mail addresses alerting them of the problem. A “Settings.xml” configuration file will allow access to system settings and all operations will be logged to a log file. MiniSell Orders to go into Enterprise, as Order, Invoice or as Quote. Quotes can be used for Testing, since they can be removed in Enterprise.